Imagine you are nine years old. Your parents have died, within months of each other. The world is frightening, large, lonely – as if Germany wasn’t bleak enough, only 20 years after the Thirty Years War scythed down 1/3 of the population. This was Bach’s entry into the world. This man’s response to a hard start in the world was to pursue the art his family loved, an art his father had initiated him into. 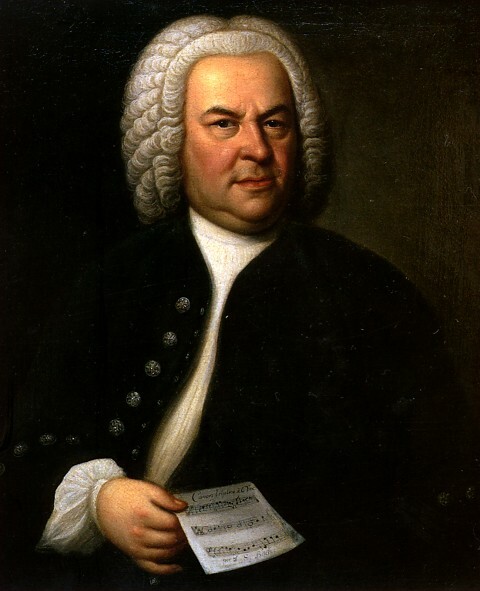 Bach is held up as a composer of mathematical patterns and structures, but there is phenomenal emotional depth and passion, humour; you are in the hands of a great soul, a man of grand vision and humility, witticisms and compassion. As Beethoven quipped, “nicht Bach, sondern Meer”. (not a brook, rather a sea). Looks could be deceiving; he looks somewhat stern and serious; a wig that emphasises his antiquity compared to us. But explore the geography of his music; he is much more than he looks. In his entire life, Bach never left Germany; but his soul soared. Track down the St Matthew’s Passion, and experience one of the greatest pieces of art ever conceived. To Bach – a great soul, a life lived with passion, despite all manner of setbacks; a man who had the courage to pursue his calling.